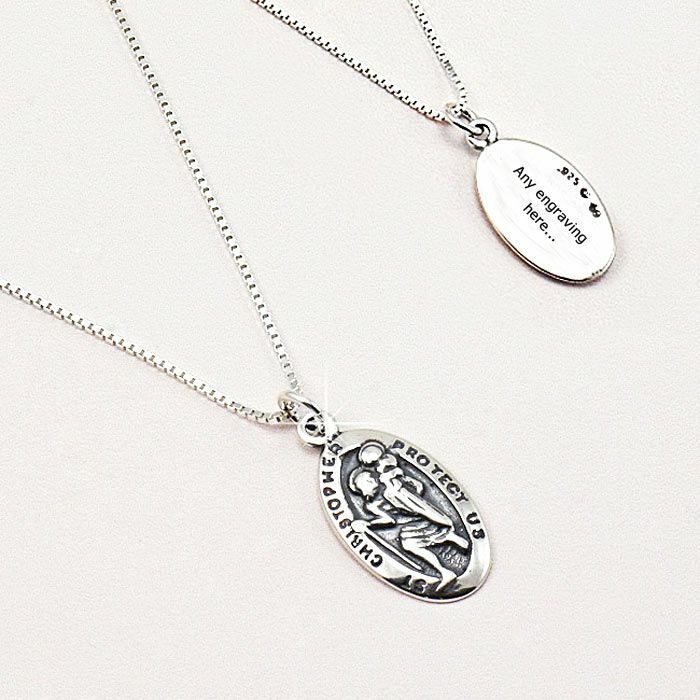 Sterling Silver Unisex Engraved Saint Christopher Necklace. A very high quality necklace with all parts made from .925 Sterling silver (hallmark stamped by the clasp). The medal depicts Saint Christopher carrying Christ, as a child, across a river. 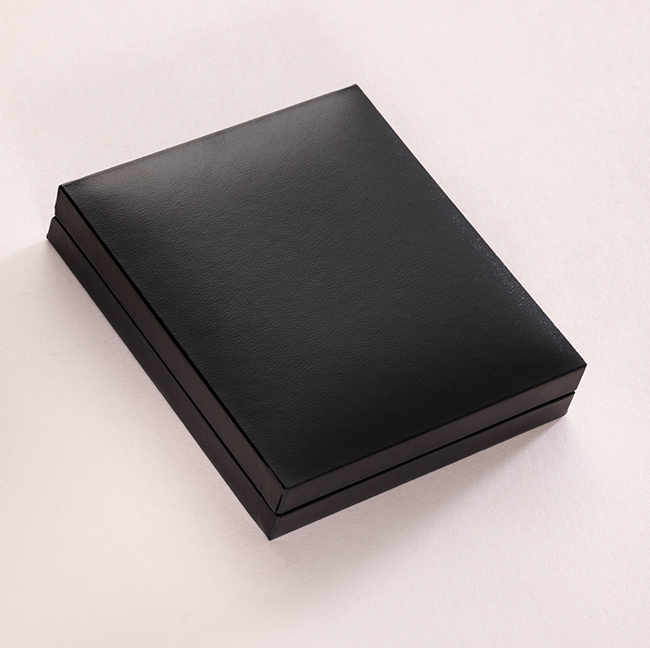 Presented in a luxury padded and hinged gift box with the gift card shown for you to add your own personal finishing touch. Free engraving available on the back! 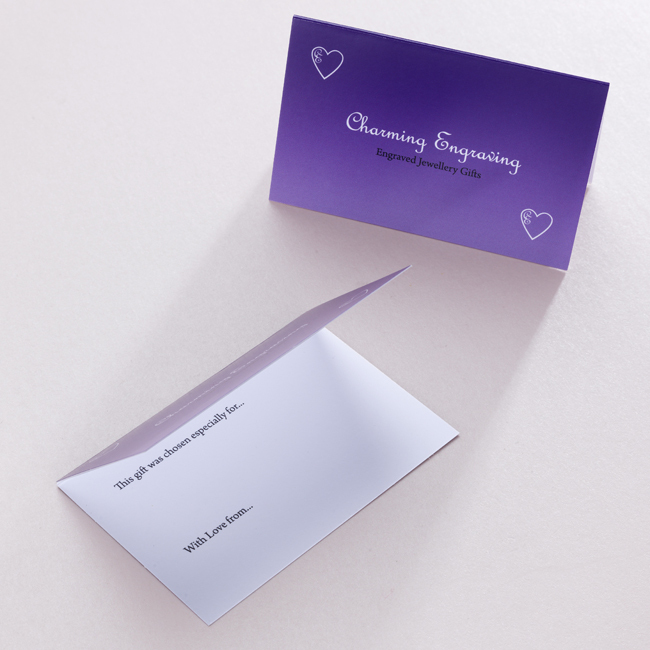 Perfect for engraving special dates, names, love from... or other messages to make an ideal gift or a something special for yourself. Saint Christopher is known around the world as 'The traveller’s saint'. 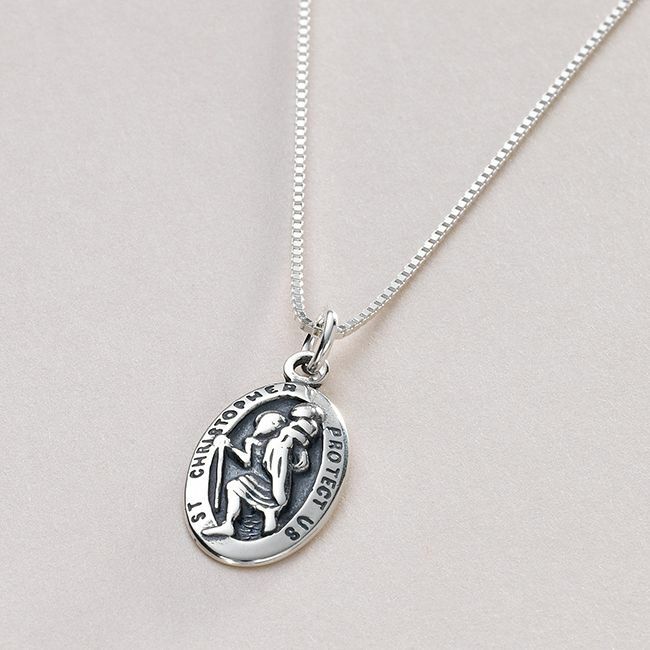 Saint Christopher pendants are often given to protect the wearer against back luck, especially during travel. This is a popular choice as a baptism or christening gift! Part of our range of engraved gifts and personalised braclets. Chain lengths: 14, 16, 18, 20, 22 or 24 inches long.